Purpose: Use this document as a reference for adding additional assignments in ctcLink. 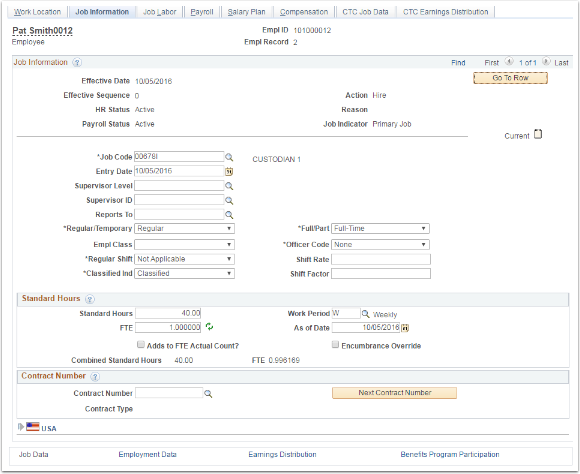 PeopleSoft Human Resources enables the user to keep complete job information about workers who hold more than one job at a time in an organization. Enter the EMPLID in the Empl ID field. Click the Add Relationship button. Select the Reason drop-down menu. Note: The Action field is prefilled with Hire. 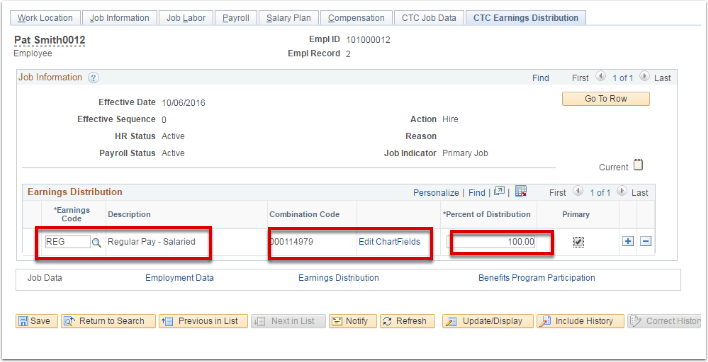 Click the Position Number lookup icon and select the desired position. 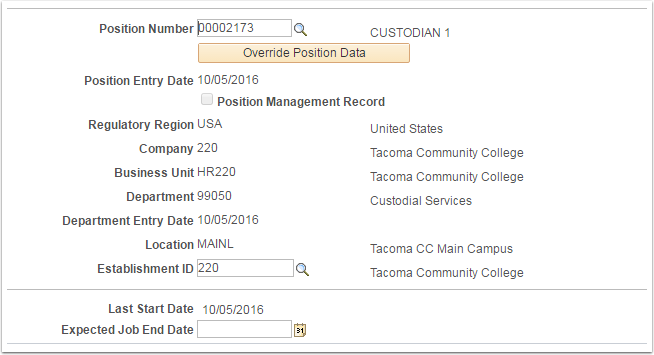 Click the Override Position Data button. 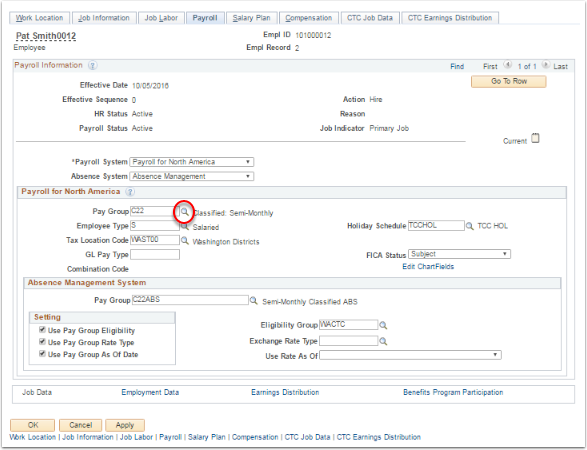 Enter the desired date in the Expected Job End Date field, if applicable. 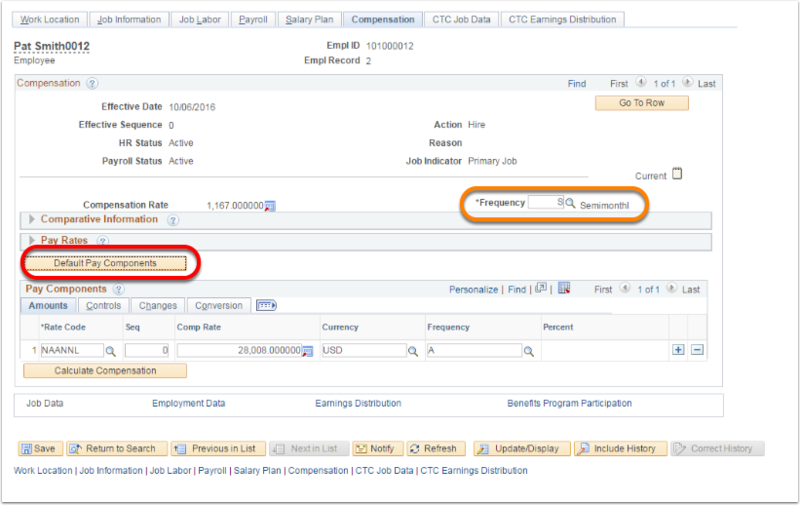 Change the Regular/Temporary field, if applicable. Change the Full/Part field, if applicable. Select the appropriate Empl Class. Change the Regular Shift field, if applicable. 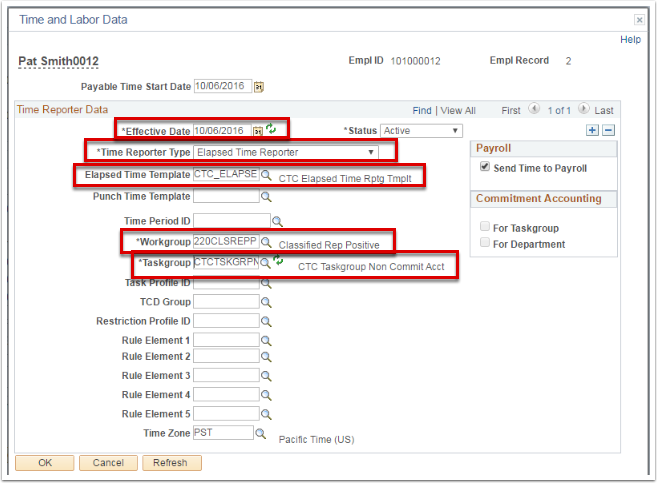 Enter the desired information in the Standard Hours field, if different than the default value. 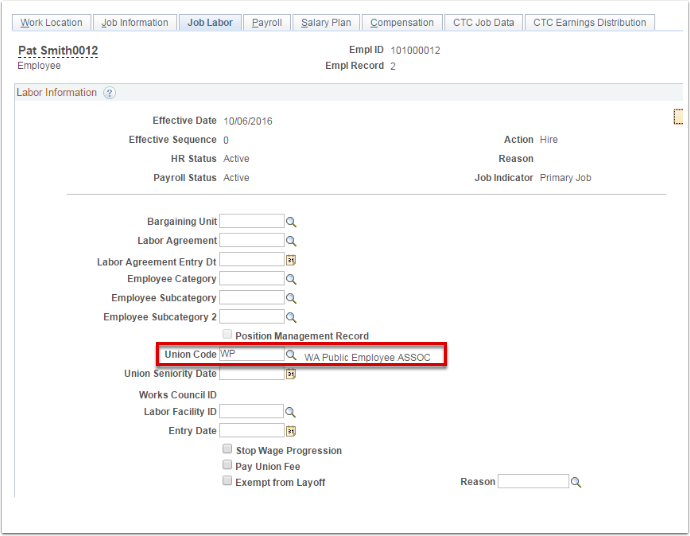 Click the Work Period lookup icon, to select the desired work period for the position; if different than the default value. Note: The FTE field changes based on hours entered in the Standard Hours field. Click the Job Labor tab. 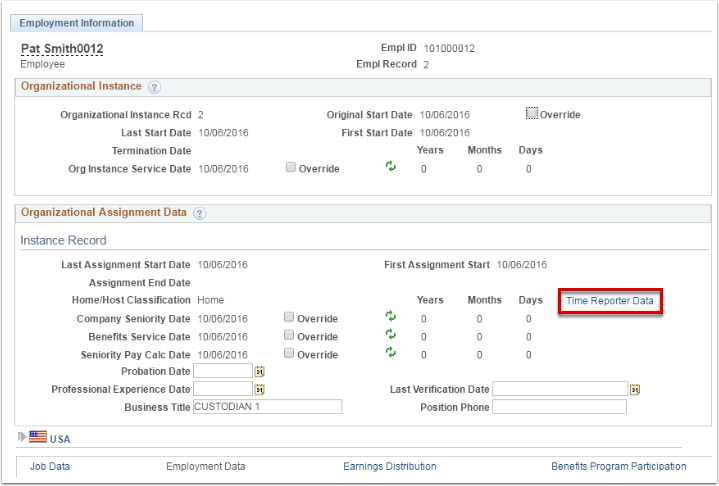 Select Absence Management in the Absence System field; if applicable. Note: The Holiday Schedule will default to the State Board Holiday schedule unless your college has a schedule outside of the standard Washington State holiday calendar. If so, you'll need to select the appropriate alternate schedule. 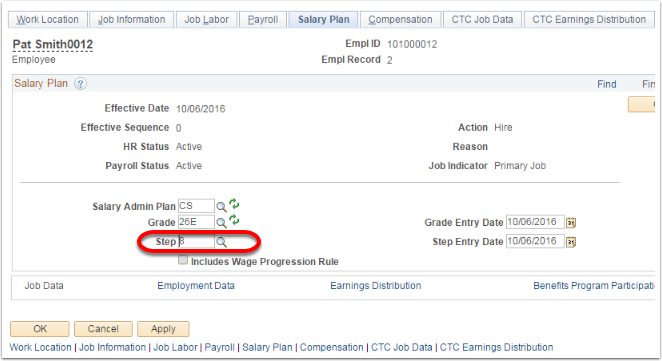 Click on the Default Pay Components button to execute rate code defaults. 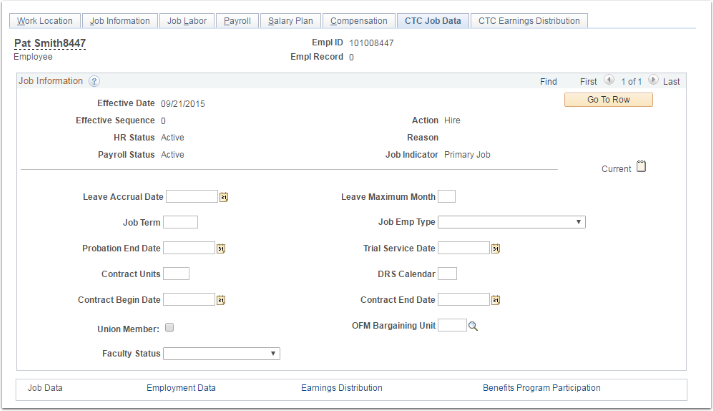 Click the CTC Job Data tab. Click the Benefits Program Participation link. 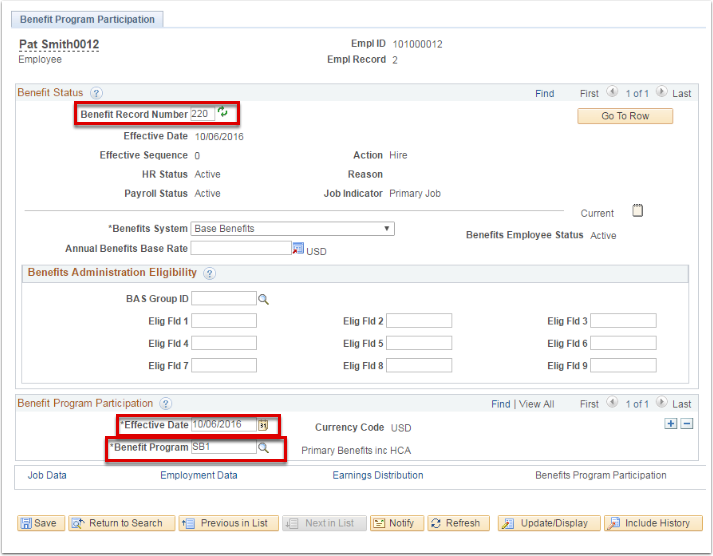 Click the Benefit Program lookup icon.